Tonic water is a common ingredient in alcoholic drinks. It is carbonated water sweetened with fruit extract and flavored with quinine, which has a bitter taste. 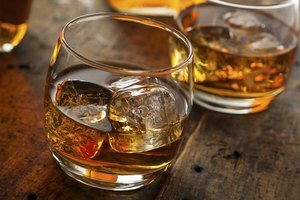 Although tonic water might seem to be an essential ingredient in some drinks, you can make a drink that is just as delicious using a substitute. 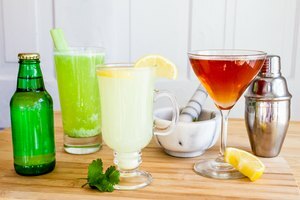 If you find yourself out of tonic water, use creativity and flavor a drink to taste to make a cocktail to please even connoisseurs. Tonic water offers a clear, carbonated mix to any alcohol with a touch of sweetness and bitterness. Soda water works as a substitute in a pinch. 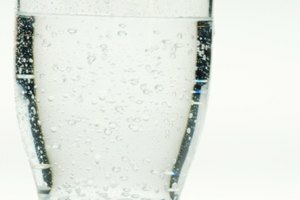 While soda water is simply carbonated water with some sodium bicarbonate added, it gives cocktails an effervescent quality. 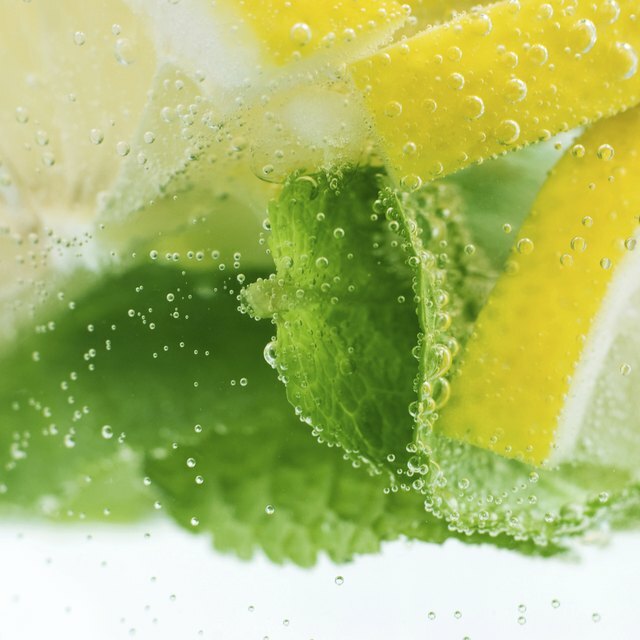 If your drink lacks flavor with soda water, add a squeeze of lemon or lime. Experiment with different amounts of citrus to get the flavor just right. You can replace tonic water with other flavored clear and carbonated beverages. Store-bought, lemon-lime soda works as a comparable substitute for tonic water. Lemon-lime soda looks like tonic water, but is sweeter. If you find that it is too sweet for what you are making, try using a diet or sugar-free variety. You can also dilute it with soda water to reduce sugar content. You won't be fooling anyone with ginger ale, but you can use it to make a delicious drink if you are running low on tonic water. Add ginger ale to gin, vodka or to any other drink where you normally would use tonic water. Ginger ale is sweet, but the ginger provides enough unique flavor to make a drink that is at least similar to a tonic drink. 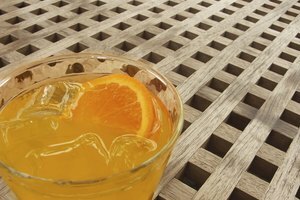 You'll need quinine bark powder, citrus fruits and berries to make your own tonic water. The process involves cooking ingredients in a saucepan and filtering out the liquid. You can vary ingredients to make a tonic water substitute that is just to your taste.